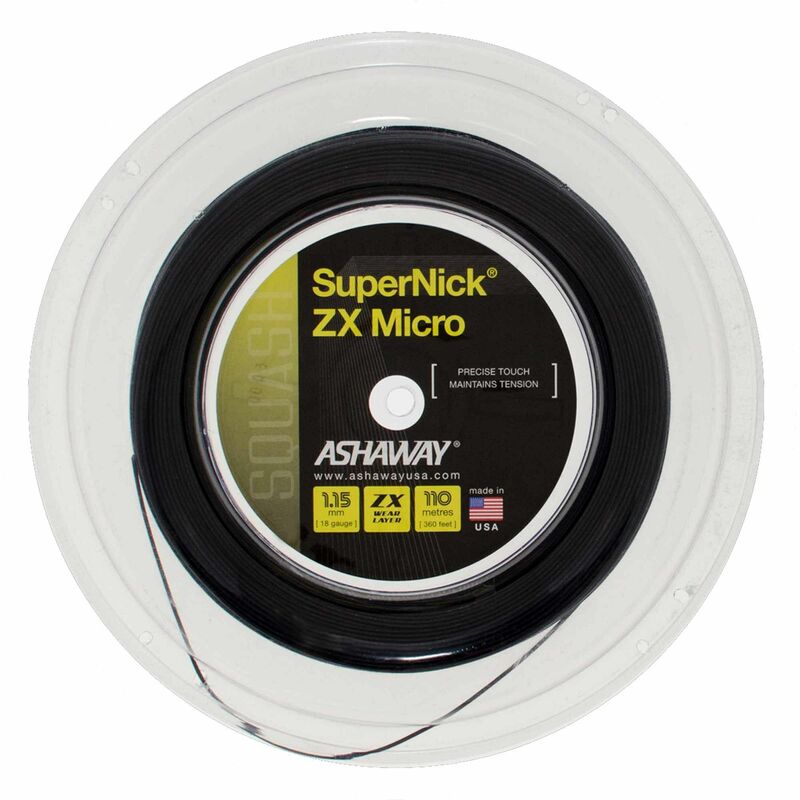 Providing great tension maintenance thanks to ZX wear layer technology, the Ashaway SuperNick ZX Micro is a durable, multifilament squash string with a gauge of 18 (1.15mm). Best suited to advanced players, the string ensures an excellent ball feel, increased control and explosive power. The string features a textured surface to guarantee more spin and comes in a 110m (360t) reel. for submitting product review about Ashaway SuperNick ZX Micro Squash String - 110m Reel AW16.